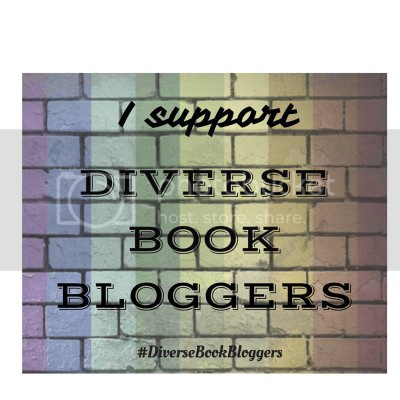 This week, I’m hosting #BookishBloggersUnite, a tag created when several bookish friends decided we wanted to post more frequently on our blogs. Each week, we do a different tag or have a different theme. All are welcome to join!! This week, we are updating our readers on our 2018 reading goals and challenges, since we only have 2 months left to accomplish them!! I embarked on two year-long reading challenges this year: Read Harder (via BookRiot) and Reading Women (via the Reading Women podcast/blog). Task 1: A book published posthumously: I know I’ve picked one–I don’t remember what though…. I’ve done less well on the Reading Women challenge–but I’m hopeful I’ll make it before the 31st of December. So far, I’ve completed 16 out of 24 tasks. There are some overlaps with Read Harder…but here goes. Task 11: A book about someone with a chronic illness: I’m open to suggestions on this one!!! Task 14: A classic novel written by a woman: maybe I’ll finally read Emma…though I’m open to suggestions! Task 22: A book by a local author or recommended by your local bookstore: I’m going to have to visit a local bookstore! Read More Books by LGBTQIA+ authors and with LGBTQIA+ characters: Last year, a pitiful 6.25% of my reading was by queer authors and 16.88% of my reading had queer main characters. This year, so far, 14% of my reading is by queer authors and 27% features a queer main character. I’m still not quite where I want to be, but the increase is heartening. Read More Books in Translation and/or by authors in countries other than the US, UK, & Canada: I’m not doing well with this goal. Last year, 16% of my reading was by authors of other nationalities. So far this year, only 1% of my reading has been in translation and 10% has been by authors of other nationalities. I have a huge list of books from other countries to get to…. Read more by authors of color: Last year, 21% of books I read were by authors of color. This year, 36% has been by authors of color, so I’ve definitely increased here. One lesson I’ve taken away from my reading goals is that I perhaps should consider a monthly TBR, even though I’m a mood reader, I think having a list to go off of would be helpful. I do find myself actively seeking out diversity this year–just maybe not doing it as often as I think I do. Such is life. Anyway, how are your reading challenges and/or goals going?? Let me know in the comments & feel free to leave a link if you decide to participate in #BookishBloggersUnite! Despite the fact that you are a bit sad about some of your numbers, you should celebrate how much progress you’ve made! I’m astounded that 14% of your reading has been from queer authors and 27% features queer characters. I try to think about a decade ago– seeking out queer characters was such a challenge. It’s great that you’re able to grow so much in these categories! I am hosting the #ThanksgivingReadathon again this year– perhaps joining up will give you some incentive to finish your reading goals? 😉 I’d love for you to join up! Jackie–I just saw this (because life!). I’m so sad I missed the Thanksgiving Readathon this year, but that weekend was SUPER busy for me. Thanks for the encouragement! I just posted my reading by the numbers wrap up (there’s some good stats there! and charts!) I look forward to being a more involved blogger in 2019! Pft, no problem. Blogging is a hobby for most of us; I completely understand! We come and we go as life demands. I look forward to seeing what you do in 2019, Sarah! Keep up the awesome work. Thanks!! I missed blogging because I miss sweet folks like you!